Ballylumford with its power station (the provider of about half of Northern Ireland's electricity) lies opposite the town of Larne on the Islandmagee side of Larne Lough. A passenger ferry service runs between Larne and Ballylumford Harbour. The nearby power station jetty receives tankers with cargoes of oil (see final image under 'More photos'). 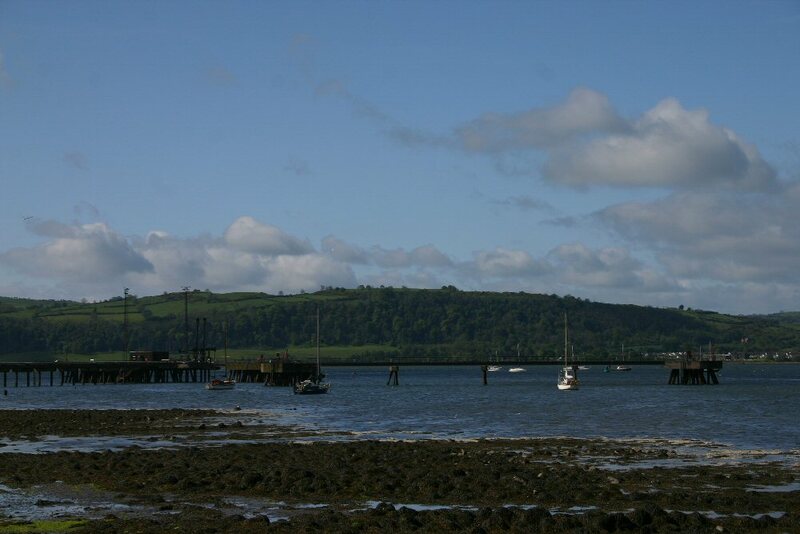 The harbour at Ballylumford offers a number of moorings for leisure craft and small fishing vessels. In November 2013 part of the pier collapsed. 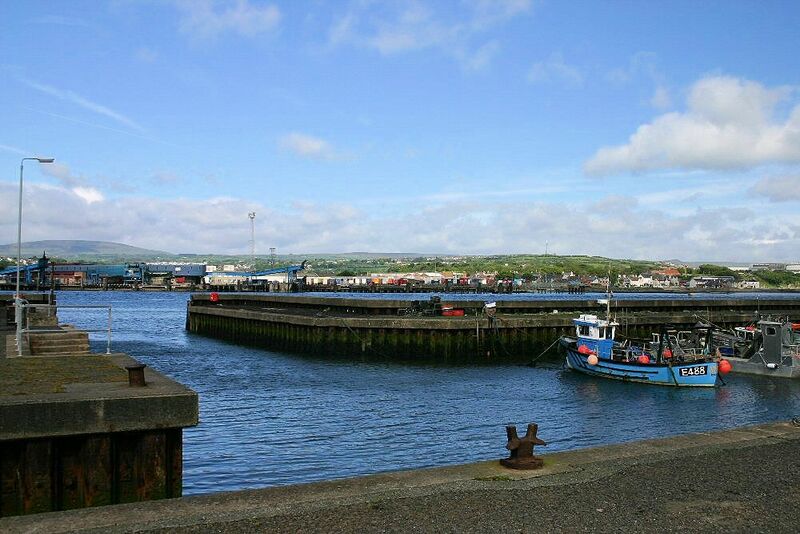 The minutes of the meeting of Larne Borough Council’s Development Committee on 16 December 2013 record “In November, staff reported a collapse of one of the piers of the Harbour and steps were taken to secure access to both piers from pedestrians and harbour users. Engineers have subsequently reported that the corrosion of the sheet piling has worsened considerably in these exposed areas, causing stones to be washed out from under the surface of the piers giving potential for further undermining and collapse. Subsequently the area is closed until further notice. The harbour, steps and slipway are considered safe and are being regularly monitored by staff who have been authorised to close the facility should a similar situation arise within the harbour itself. Officers are waiting on a further update report on the engineering issues and estimated costs of repair and will bring a further report to Council at the earliest opportunity”.